If you have any questions or would like more information about painting your home please Contact Me. If you are planning on buying or selling a home or property please visit my Buyers Page or Sellers Page. 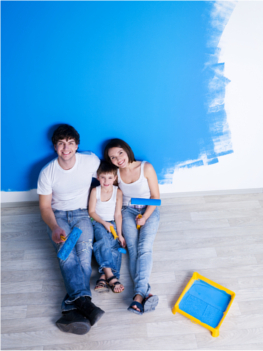 A home buyer isn’t just thinking about the price of the home but also the work and money they have to put into renovations after purchasing. If they are immediately turned off from the colour of the walls, they will most likely be less interested in the home. So take some time to stage your home a little bit. Yes, it may cost some money but in the long run it’ll make your home look more appealing and, more importantly, easier and quicker to sell.